This policy deals with personal information that may be collected as part of the business information handled by Cranbrook Tourism. Personal information is information about an identifiable individual, excluding business contact information. The following explains how Cranbrook Tourism handles personal information as it forms part of a business profile. Cranbrook Tourism reserves the right to change this policy and it may be updated periodically. In the event of a change in the policy, which will affect our use of your personal information Cranbrook Tourism will provide notice of the changes to all necessary individuals. Cranbrook Tourism is accountable for all personal information under its control. The privacy officer can be reached at info@cranbrooktourism.com. Any questions about Cranbrook Tourism’s handling of personal information should be directed to the privacy officer. Please see below for more information about the process for referring questions about Cranbrook Tourism’s handling of personal information. Broadcast email newsletters, events notices, meeting notices, industry issues and other relevant information. Publish business information on http://www.cranbrooktourism.com website. Supply marketing partners with one time access to contact information such as Destination BC for Cranbrook Tourism promotional asset development. Cranbrook Tourism seeks consent for all personal information we collect, use and disclose through information provided to individuals prior to collection, or at the time of collection. This contact information is voluntarily provided to Cranbrook Tourism by creating an account online at http://www.cranbrooktourism.com by completing a free listing form for the website, by answering questions from a CT representative by telephone or responding to a broadcast email to re-verify contact information based on current records. The online database allows an option to NOT publish private phone numbers that may be recorded for contact purposes but are not to be published for marketing purposes. At any time a contact can be removed from the database list by either deleting their own listing directly from the website or by contacting the privacy officer. If information is voluntarily provided, this constitutes consent to the collection, use and disclosure of personally identifiable information only for a purpose that would be considered obvious to a reasonable person. In the majority of cases, Cranbrook Tourism will seek consent to collection, use and disclosure. Cranbrook Tourism will not use personal information for any purpose other than that for which consent has been provided. Should Cranbrook Tourism require use of personal information for a new purpose, consent will be sought for that new use. Cranbrook Tourism does not collect, use or disclose personal information of individuals except when individuals give consent, provide the information on a voluntary basis, or as required or authorized by law. There may be occasions where more specific personal information is necessary for us to proceed with a request for information, or provide you with a product or service. In such cases, we will provide you with a description on the information we need. In all cases, Cranbrook Tourism limits the amount and type of information collected to only the personal information that is required to provide the individual with the requested information, product, or service. We collect only information that is voluntarily provided by you and undertake that such information will be kept strictly confidential. Cranbrook Tourism may disclose personal information collected by it without the knowledge or consent of the individual, in certain circumstances prescribed by the Act, for example to its lawyers; for purposes relating to an investigation or proceeding, or where required by law to disclose the information. Cranbrook Tourism will not use or disclose personal information without the consent of the individual except as authorized by applicable law. We retain personal information only as long as is necessary to provide the individual with the requested product, service or information and delete or destroy this information after that time. In some cases, however, legal reporting and retention requirements necessitate that Cranbrook Tourism retain information for a specific amount of time. If Cranbrook Tourism uses an individual’s personal information to make a decision that directly affects the individual, Cranbrook Tourism will retain that information for at least one year after using it. Any personal information that Cranbrook Tourism retains is kept in such a manner as to ensure its security and confidentiality at all times. Cranbrook Tourism respects the privacy of our stakeholders, partners, potential website visitors and Internet users and will protect that privacy as vigorously as possible. We store personal information in electronic and physical files that are secure. Our security measures include industry standard techniques such as firewalls, encryption, intrusion detection and restricted access to records and to equipment, including computers. Unfortunately, no data transmission over the Internet can be guaranteed to be 100% secure. As a result, while we strive to protect your personal information, we cannot ensure or warrant the security of any information you transmit to us or receive from us electronically. This is especially true for information you transmit to us via e-mail. Once we receive your transmission, we make our best efforts to ensure its security on our servers. At the written request of an individual, he or she may access or request a correction of their personal information as collected by Cranbrook Tourism. In case of an access request, Cranbrook Tourism will inform them of the personal information we have about the individual under our control, what it has been and is being used for and, in cases where it has been disclosed, to whom it has been disclosed. There may be exceptional circumstances as provided by the Act under which Cranbrook Tourism may not be able to give an individual access to the personal information about her or him held by Cranbrook Tourism. In this case Cranbrook Tourism will explain the reason for this lack of access, as provided by the relevant provision of the Act. To make a request, please send a letter, email or fax addressed to the Cranbrook at the address noted on page one. In any written request, please include the nature of the request, for example: access and/or correct information/inquire regarding use and/or disclosure etc. If an inquiry concerns a specific transaction, please indicate the date of the transaction, and provide a receipt number if applicable. Cranbrook Tourism will reply to your request in no later than thirty days after receipt of the request, or if we are not able to respond within this time period, we will send you a notice of extension. If we are not able to provide you with access to all the personal information about you that is under our control, we will give you a reason for our inability to do so, unless prohibited by law. Any questions, comments, or complaints about Cranbrook Tourism’s handling of personal information should be directed to the privacy officer. Complaints should be in writing and Cranbrook Tourism will provide notice of receipt of the complaint within 30 days of the postmark date. Within a reasonable time of receipt of the complaint, the privacy officer will conduct an investigation into the complaint. The format of this investigation may vary, depending on the circumstances. Within a reasonable time of conclusion of the investigation, the privacy officer will inform the complainant of the outcome of the complaint. Information which includes all facts, data and other information, collectively the “Information” in the pages of this website is of a general nature, is intended only for informational purposes, is subject to change without notice, and is not intended to be relied on by visitors as binding legal advice on any particular matter. Individual information provided to Cranbrook Tourism to gain access to any feature of this website will not be sold or made available to any third party, except where information processing is outsourced by Cranbrook Tourism in the course of its regular administrative procedures. Cranbrook Tourism reserves the right to perform statistical analyses of aggregated user behavior and characteristics, in order to measure interest in and use of the various sections of its site so as to improve design and navigation and to gather information for marketing purposes. Only aggregated data from these analyses, not personally identifiable individual data, will be used for this purpose. 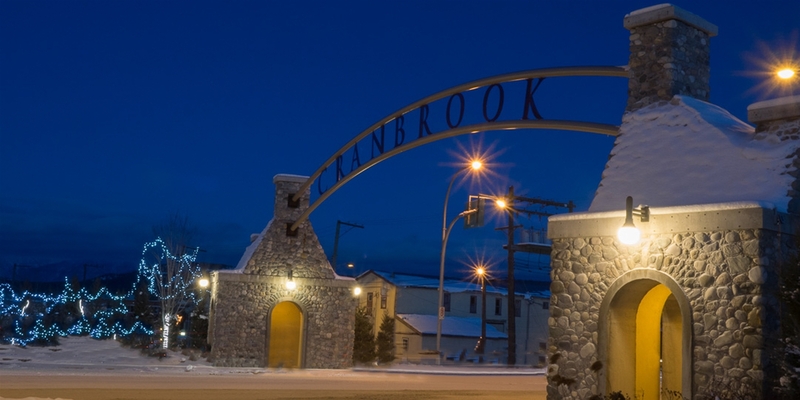 The information is believed to be accurate, complete and current when posted, but Cranbrook Tourism cannot guarantee that it will remain accurate or complete or that it will be current at all times. Cranbrook Tourism is not responsible for direct, indirect, special or consequential damages, regardless of the cause, arising out the use of this website. Through the links to other sites found on Cranbrook Tourism website, the user may enter domains that are beyond the boundaries of Cranbrook Tourism and, once there, Cranbrook Tourism is not responsible for the privacy practices or the content of these websites. Cranbrook Tourism has no control over the accuracy, completeness or relevance of the information on these sites and provides links to these sites solely for the information and convenience of visitors to our website. The information on Cranbrook Tourism website may be used or copied provided that it is used or copied accurately, or is used in its entirety and/or that the source of the information is clearly identified. Only a partner of Cranbrook Tourism may use the information for commercial purposes. Permission may be granted to others who have a need for the information. Cranbrook Tourism is not responsible for the way in which the information may be used or copied. Cranbrook Tourism reserves the right to change, delete or add information at any time.